Naturally drawn to organic foods and environmental sustainability as a youth, I new there was more than just buying organically. 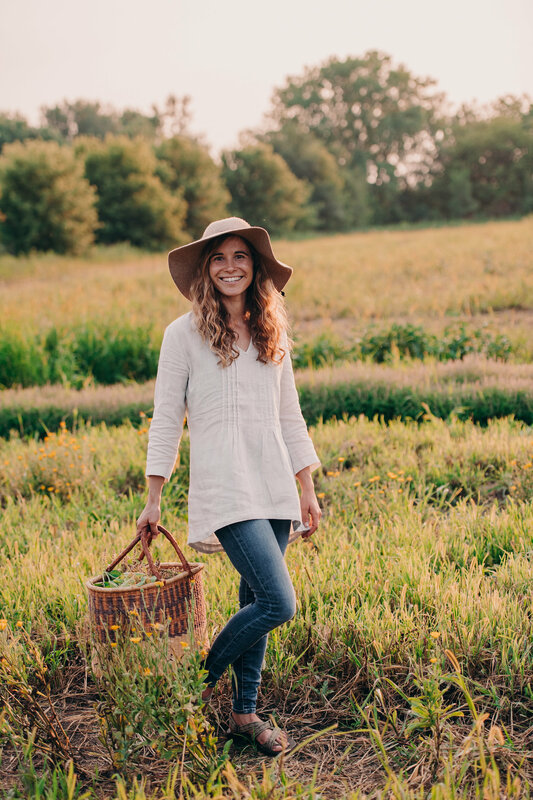 Growing up in Hopkins, Minnesota, I didn’t have access to small scale organic farming methods that I was craving in my adolescents. So the day I graduated high school I packed my bags and moved to Northern California. There, coupled with my love for yoga, I began to learn small scale organic farming in a community of yogis. That began my decades long pursuit of organic farming, yoga & mindfulness, and living simply with the land. I moved to Vermont where I spent eight years pursuing these passions. While in Vermont, I earned my bachelors of science degree in holistic health, creating a major that suited my passions. In between semesters at university, I apprenticed with the well-known herbal company, Herb Pharm, in Williams, Oregon igniting my love for growing medicinal herbs. 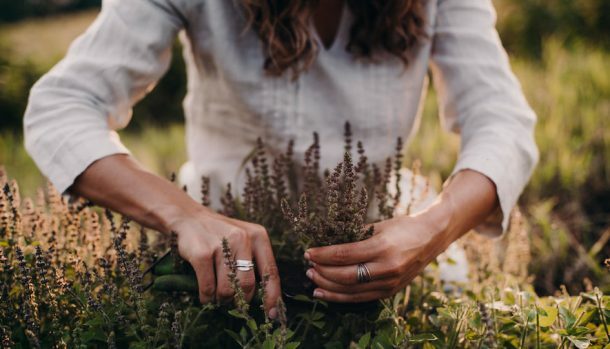 Both in school and after, I had the pleasure and privilege of growing herbs while living in eco-villages that focused on eco-psychology, sustainable farming, herbalism, yoga, meditation, and nonviolent communication. Since then, I have had many incredible opportunities of travel, study, and collaborate all over the world. I followed my passions of Ayurveda to the island of Kauai, Hawaii where I earned my Yoga and Ayurveda Teaching Certification with Myra Lewin through Hale Pule. Shortly after, I was hired to manage an organic herb farm on the island. Eventually I left the garden paradise of Kauai to take an opportunity to live and study with a healer and herbalist in Mexico. I completed my Ayurvedic Health Counselor degree from Kripalu School of Ayurveda in 2016. During my clinical internship portion of Ayurveda School, I attend an extended meditation retreat in my home state of Minnesota. Here, at the Prairie Farm Retreat Center, the idea for an Urban Monastery was born. Since I was 15, I’ve had a daily meditation practice, attended multiple silent meditation retreats per year, and lived in various forms of monastic households. I was ready to take my practice to the next level and infuse my day with as much practice as possible with other dedicated yogis. It was in this setting, in a semi-monastic household in Minneapolis, Minnesota where Herban Ayurveda was born. A housemate at the Urban Monastery had been farming a certified organic property for a few decades and invited me to join. So in 2016, I quit my day job working as a wellness analyst and started farming full time. Even though farming and running my own business has been the most challenging work I’ve ever done, I feel so grateful that I’ve found my way to be of service to this earth and community. Through Zoom or in person locally, work with me one-on-one to address your specific needs and concerns. Please read below for more information and reach out with any questions! Each season, I welcome four to six interns to work with me at the organic medicinal herb farm in Castle Rock, Minnesota. Interns spend time directly with the plants and gain invaluable hands-on experience. We are in the process of creating a longer training curriculum, but in the mean time, you can find condensed versions of the material covered in our classes & workshops taught throughout the Twin Cities Metro Area. Ayurveda is simply a term that means living with wisdom. It is a living, breathing system of holistic wellness. It is a lens in which to view the world, the body, and the mind. In an Ayurvedic Health Coaching session, we use this lens to address the root cause of imbalance. Ayurveda provides the framework to recognize energetic imbalances and their pattern of emergence in various body types. With the additional aid of medical astrology, we will look at the energetics of your true nature, or Pakriti dosha (inherited birth constitution) and then review ways in which you may have deviated from that state. Eating foods that aren’t aligned with your dosha, seasonal changes, stress, and a variety of other factors, can lead the dosha to deviate from it’s original state (aka Vakriti Dosha). With the aids of herbalism, medical astrology, and ayurvedic lifestyle changes we shine light on how to bring your body back to it’s natural and unique state of balance. Join our weekly email list for your chance to order local, organic, medicinal herbs. Thanks for joining us! Keep an eye out in your spam folders for our first email.